To those of us diehards who didn’t skip the Wii U generation, New Super Mario Bros. U was one of the console’s launch titles. 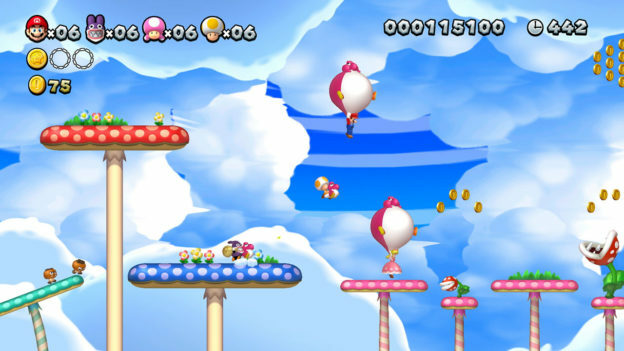 The 2.5D Mario platformer New Super Mario Bros. Wii, was built with co-op in mind. You and your friend/enemy select from a growing roster of playable characters and work together to stop Bowser and his brood, or get competitive and try to knock each other into lava pits or the nearest Koopa Troopa. 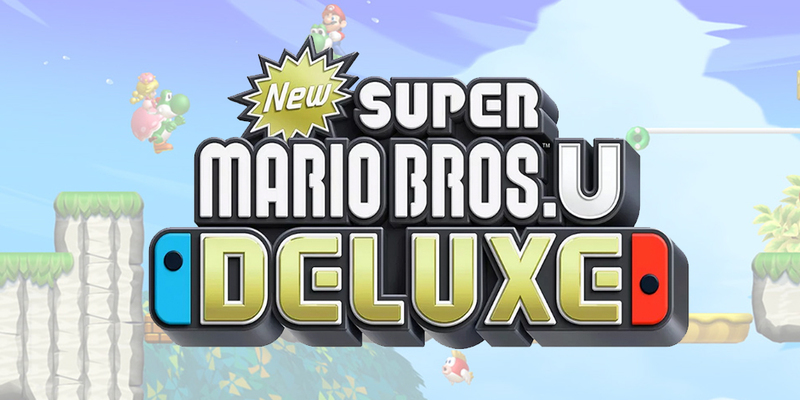 For those who missed out on the original release of New Super Mario Bros. U (which is many, considering the install base of the Switch compared to the Wii U), this Deluxe release comes with the New Super Luigi U DLC, which all in all offers over 160 courses to jump around through. 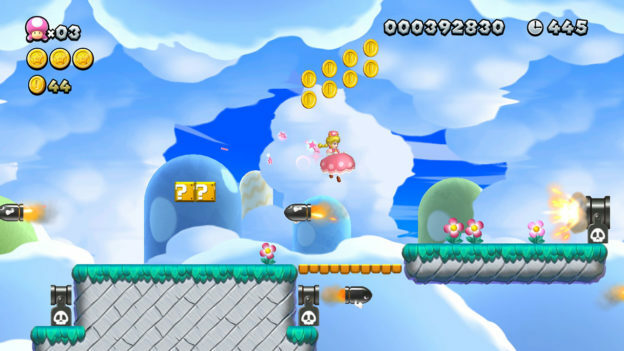 The addition of Toadette and her internet-breaking Super Crown is a godsend to folks who are a little platformer-challenged. Not only does this power-up let her float ala Super Mario Bros. 2 Peach, but pressing R will lunge Peachette higher still into the air. This ability harkens to Peach’s ubiquitous floating ability, but the way it works in New Super Mario Bros. Deluxe nearly smacks of Kirby. For simple left to right levels, it’s fairly easy to fly over nearly every obstacle. My 10-year-old niece Chloe, who struggled with the original Wii U game, is finally able to play the otherwise challenging levels. Speaking of challenge, there’s not much here if you’re a life-long Mario gamer. It will scratch the itch, to be sure, but you can cruise through the game in a day or less. Granted, beating the main game, the DLC, and collecting every Star Coin offers far more playable hours for true completionists. The one technical hiccup here is the game makes dying a time-consuming hurdle. I timed the second I died to the second I was able to jump back into the level, which clocked out at 15.52 seconds. If you plan on dying a bunch, this laggy loading can easily become a “time to play something else” inconvenience. If you played New Super Mario Bros. U the first time around, it’s hard recommending its Deluxe iteration unless you simply can’t be bothered to plug in your Wii U again. However, if you were waiting all these years for an easy mode, playing through the game as Toadette will surely satisfy.